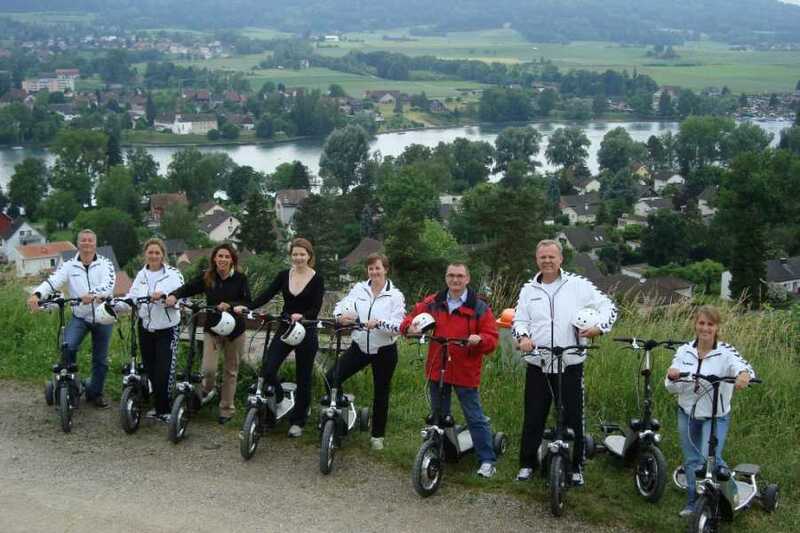 Enjoy a private guided tour to Switzerland Cities and landscapes driving the new eco friendly electric E-scooter. 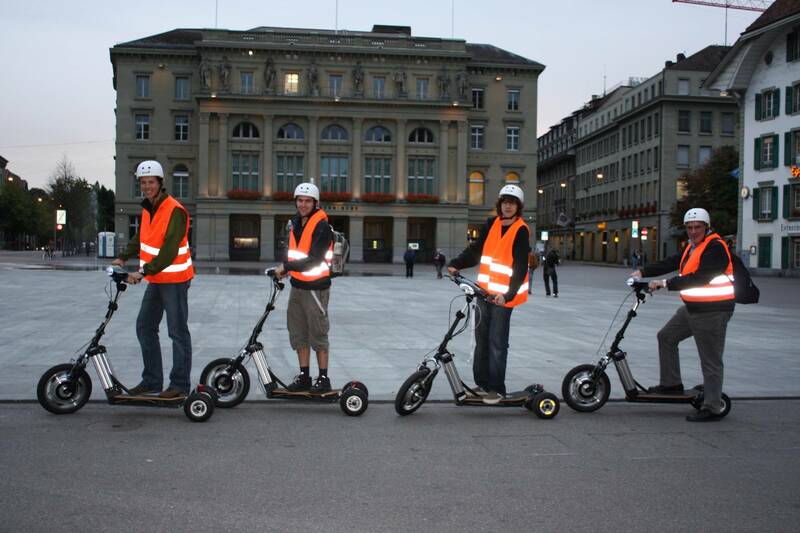 This E-Scooter is a new innovative means of personal transportation that meets the needs of both the individual and industry. 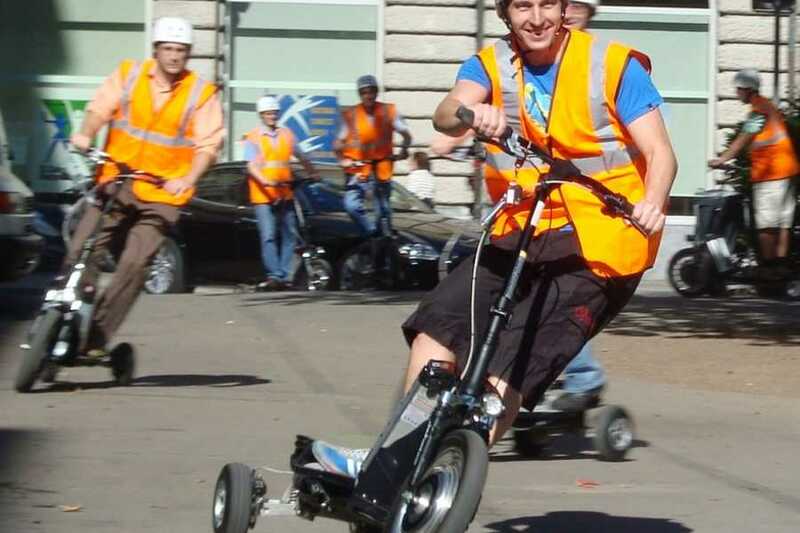 Easily mastered, the E-Scooter requires few skills, you just stand on it and ride! 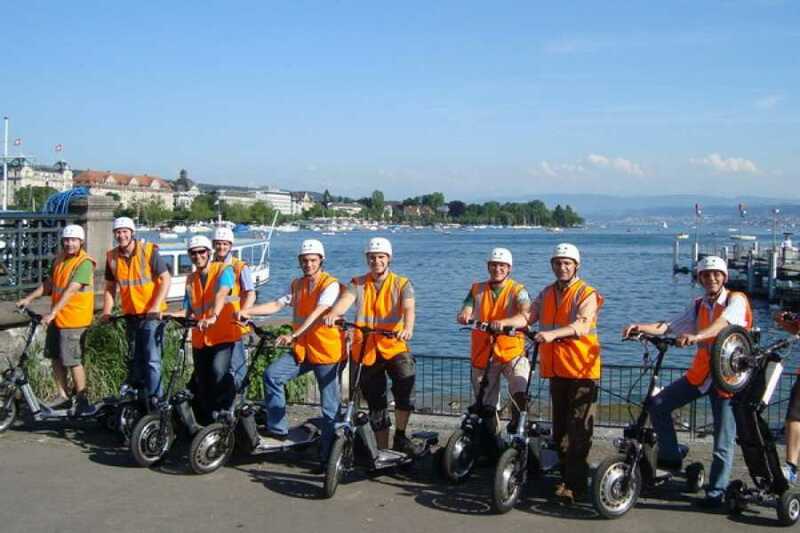 An alternative to the short distance commute, it's perfect to explore a beautiful city like Zurich. It's fun, easy and save to drive for everyone from 14 years and up. 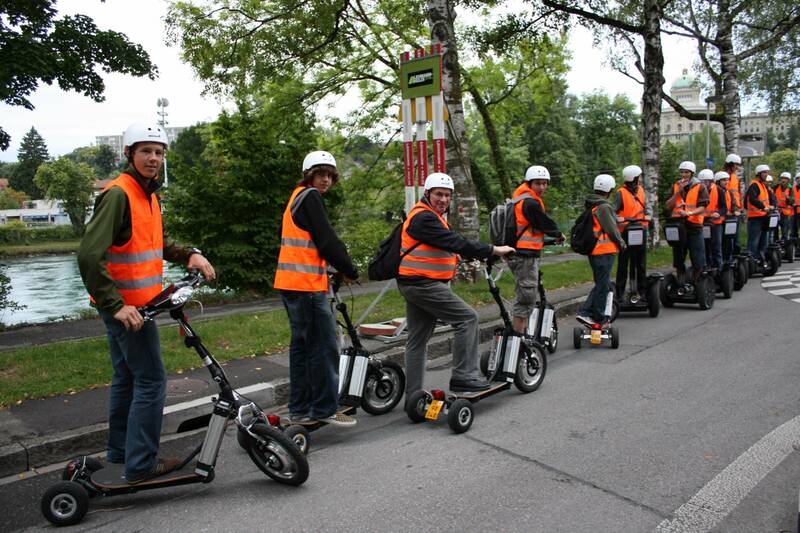 Enjoy a private guided E-Scooter tour driving this exciting vehicle. Tour takes about 2 to 2 1/2 hours, safety briefing and driving instructions included. 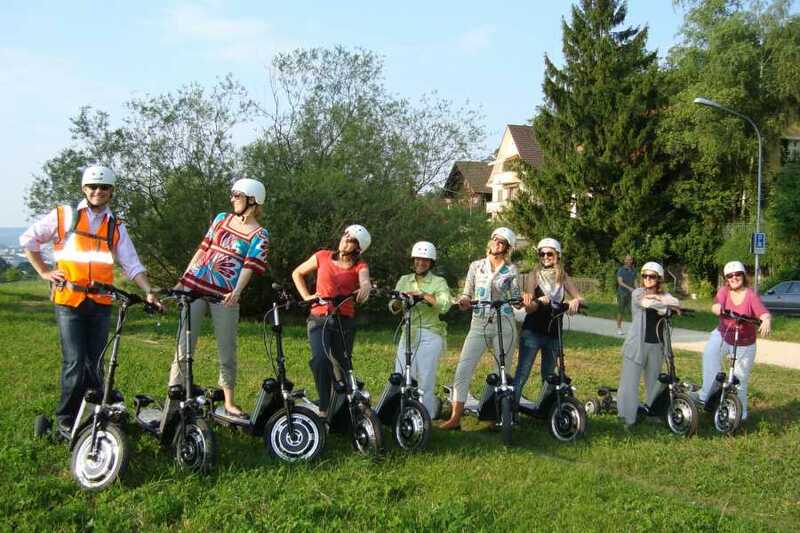 Groups: minimum group size is 6 persons, maximum group size for online bookings is 15 persons. 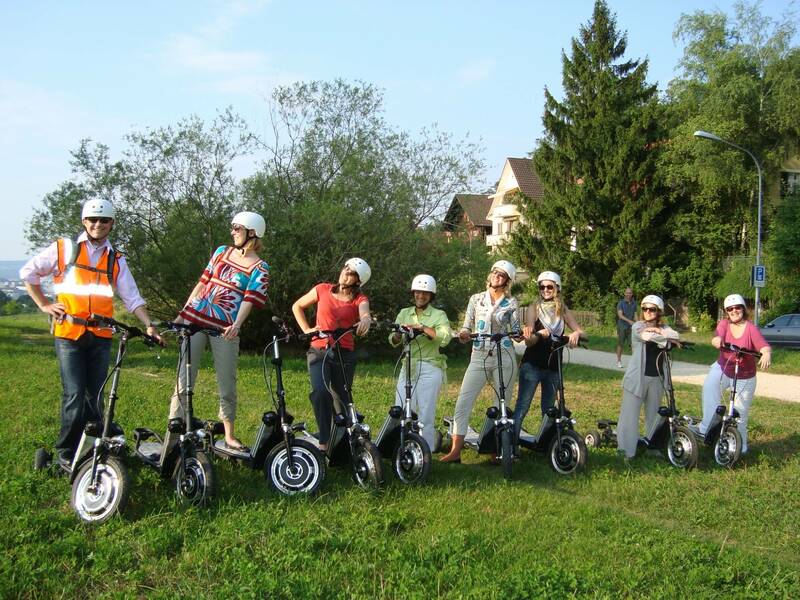 For larger groups then 12 persons, please contact us by phone or e-mail and you will get our offer immediately. 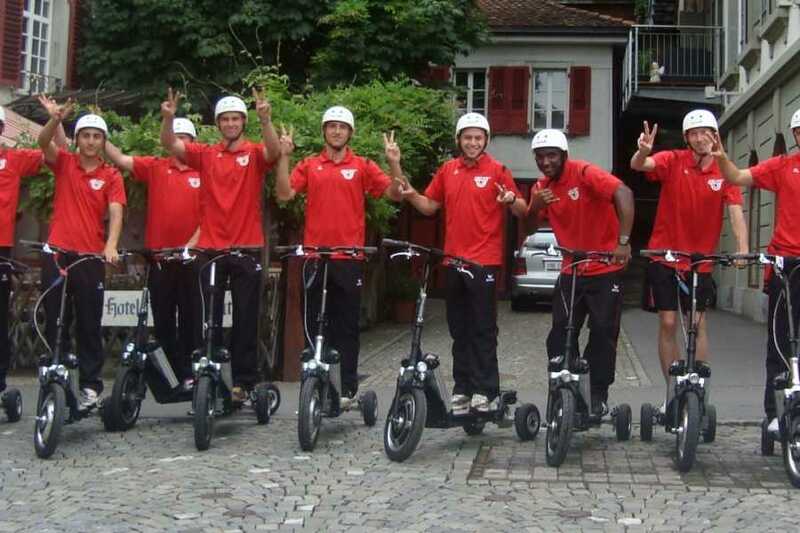 Available Routes: Zurich City, Zurich West, Zurich Dolder, Airport Zurich round cruise, Greifensee cruise. Make your booking and contact us afterwards to define your prefered route. 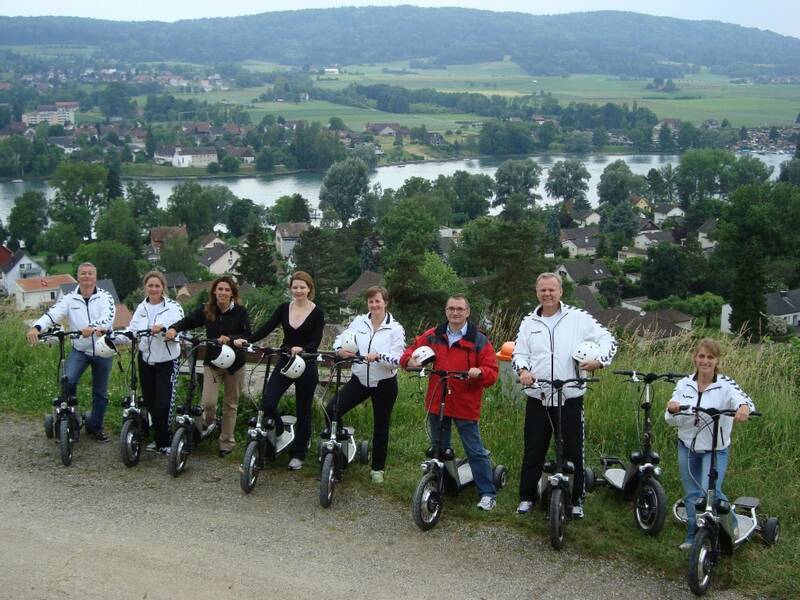 We do also offer tours in entire Switzerland. Please contact us for an offer. Before starting the tour, a detailled briefing and instruction takes place. Minimum age 16 years. Valid drivers license is required. Good footwear (No flip flops, open sandals or high heels) as well as for the current climatic conditions appropriate clothes recommended. Wearing a helmet is mandatory (helmets will be provided) and general ability to drive (no drugs, no alcohol) is assumed. 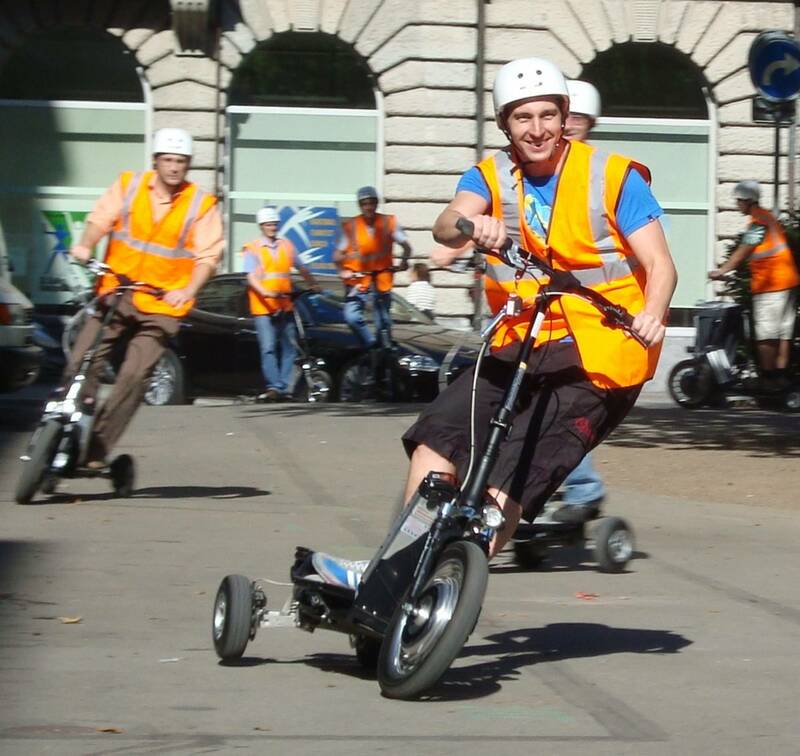 The E-Scooters Tours will only take place in reasonable good weather conditions. Therefore, we cannot guarantee that a booked excursion can take place on the scheduled date/time. Due to weather or security reasons cancelled tours can be rescheduled at no further costs.